Sami Ounalli brings 20 years’ experience to Tala Bay as Mövenpick’s new Resort Manager. Aqaba, Jordan – 17 April 2019. Mövenpick Resort & Spa Tala Bay Aqaba is pleased to welcome Sami Ounalli as new Resort Manager. The passionate Tunisian hotelier gained his in-depth tourism, hospitality and leadership experience over the last 20 years at hotels and travel agencies throughout the Middle East and Africa. Sami began his career by managing sales and marketing activities at Tunisia’s Dar Jerba hotel complex. Six years at two Tunisia-based travel agencies and destination management companies followed. Hospitality called again 2007 and he accepted the role as Director of Sales & Marketing of Odyssée Resort & Thalasso Spa. In 2010 he joined Radisson Hotel Group in Tunisia, first as Director of Sales & Marketing and later as Executive Assistant Manager. Before joining Mövenpick Hotels & Resorts, his final assignments for Radisson Blu were as Hotel Manager in Rwanda and Chad, where he lead the pre-opening team. Sami has been involved in the advancement of sustainable tourism in Tunisia, and he looks forward to continuing similar efforts in support of Accor’s sustainability programme, Planet21. Encouraging creativity and adapting to the trends of guest needs, are at the top of his list of things to do in his new role. “I am pleased to join the team and excited to bring new ideas and creativity to the fore,” said Ounalli. 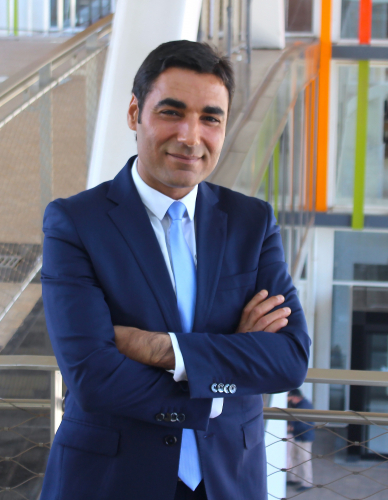 Sami – who is fluent in Arabic, French, and English – obtained his diploma in marketing, business administration and management from the Institute of Higher Commercial Studies of Carthage in Tunis. A fun and charismatic character who is known as much for his listening capacity as for his frank speaking, Sami also likes discovering new technologies. He is passionate about people, culture and history – which are often the subjects of his many photographs. The five-star Mövenpick Resort & Spa Tala Bay Aqaba on the shores of the Red Sea in Aqaba features 306 rooms, extensive meeting facilities, wedding venues, wellness areas, and a dive centre. Mövenpick Hotels & Resorts makes moments by doing ordinary things in an extraordinary way. Providing an upscale, relaxed and uncomplicated guest experience, Mövenpick recognises that small gestures make a big difference. Whether it is a chocolate hour every afternoon, customised sleep technology to ensure a restful night or specially created fun and healthy kids’ menus, Mövenpick creates a human and warm environment for guests, business partners, and employees. Committed to sustainable practices and caring for its local communities, Mövenpick is the most Green Globe certified hotel brand in the world. Founded in Switzerland in 1973, but with a heritage of food and beverage excellence stretching back to the 1940s, Mövenpick holds a growing portfolio of more than 80 hotels in 24 countries. Mövenpick is part of AccorHotels, a world-leading travel and lifestyle group which invites travellers to feel welcome at more than 4,500 hotels, resorts and residences, along with some 10,000 of the finest private homes around the globe.